OTTAWA, March 29, 2019 /CNW/ – Hundreds of First Nations leaders, mental wellness experts, health organizations, government officials and those with lived experience will gather in Winnipeg April 2-4, 2019 for the first-ever national AFN Mental Wellness Forum and Health Information Fair. This Forum will be an opportunity to discuss mental wellness and the relationship to the social determinants of health such as addictions, life promotion, culture, gender and sexuality, access to health services and Health Transformation. Action on mental wellness and substance use issues continues to be a priority for First Nations across the country. The AFN National Mental Wellness Forum will feature sessions on the past and present, and identify ways to strengthen mental wellness for First Nations in the future. The Forum will include a focus on hearing from those with lived experiences to provide insight for leaders, mental wellness knowledge holders and workers in the development of future steps. Systems that impact First Nations wellness must change to better address the multiple barriers and challenges existing at all levels of governments. A First Nations-led approach will support First Nations initiatives with culturally relevant policy, funding mechanisms, strategies, programs and services. 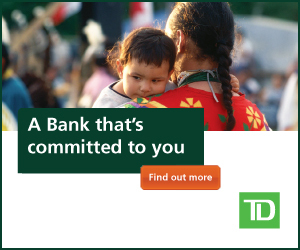 For more information, please visit www.afn.ca. Media accreditation is required and encouraged to be obtained prior to the event from the below contacts.